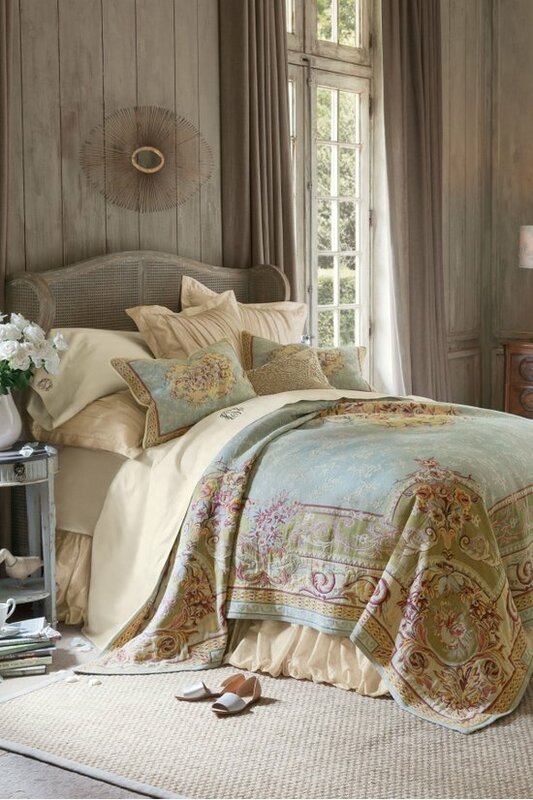 Dress your bed in regal splendor. Recalling the lavish beauty of Italian renaissance textiles, our stunning tapestry collection centers a floral medallion on a sky blue ground sprinkled with flowers and framed with Florentine scrolls. 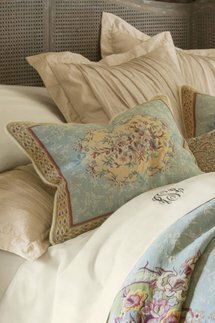 Rendered in opulent shades of blue, gold, chartreuse and blush, this work of art for the bed is exquisitely crafted of pure cotton in the traditional Flemish style of weaving. 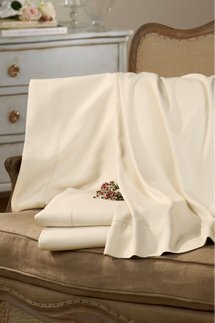 The coordinating sham is edged with braided cording and has a hidden zip closure.